Josephine died last night. She was suffering from a laying problem, egg yoke peritonitis, that is not curable and she was in a considerable amount of pain. I’m still feeling pretty sad about it, even though I know that for her, being gone is better than lingering on and suffering. Josephine on her first day home. We first brought Josephine home 3 years ago on the last night of the Cleveland County Fair. She and Pearla had been impulse buys from earlier in the week and we were excited to bring them home and add them to our small flock. Josephine, unlike Pearla, had a difficult transition into our world. She was generally fearful of everyone except for Pearla. She was difficult to catch, difficult to hold, and was hesitant to even eat from our hands. As time went on, and I just accepted that Jospehine was not a “touchy” chicken, our relationship with her began to improve. She began to trust us and her flock mates, and eventually she was just a solid rock in the flock. Reliable, steady, and calm. This past Friday morning, when checking on the chickens, I noticed that Josephine was still asleep on the roost – something that was really out of character for her. When I took her off the roost without a fight, I noticed that her abdomen was swollen and her comb was bent over and slightly gray. I knew then that something serious was wrong. Over the next few days we dosed her with penicillin, hoping to see an improvement, but she was already too far gone at that point. 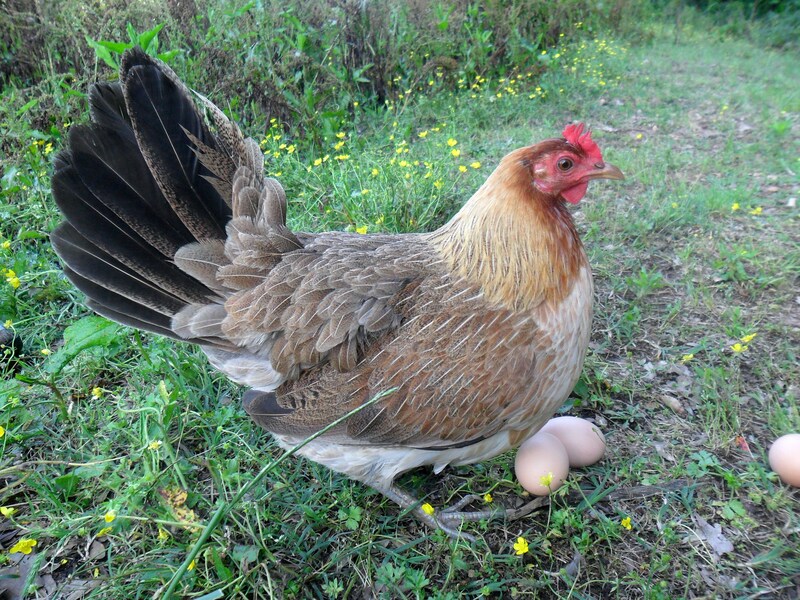 Chickens often hide illness and injury until it is impossible for them to continue to do so – it is just a characteristic seen in most breeds of bird – and that is probably one of the reasons that we didn’t catch her condition earlier. Josephine & Pearla on their first day home. 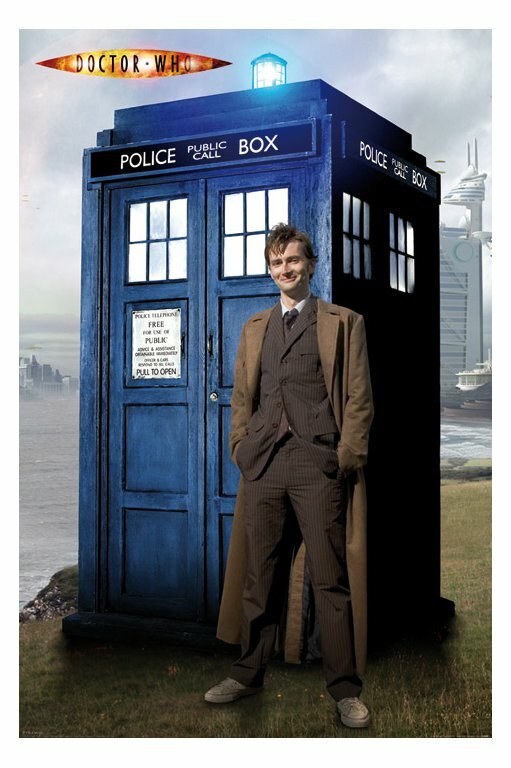 – 2011. Of all my memories of Josephine, there is one that I will cherish more than any other. Yesterday afternoon, Josephine was laying under a bush that the chickens like next to the house. Pearla, who she has always preferred to spend time with, came up and laid down next to her. For about an hour the two friends just calmly and peacefully laid together in the sun, periodically making little chatter noises to one another. I sat on the back steps just watching them – they seemed happy. Later that night we buried Josephine near the coop, in a spot where honeysuckle and blackberries like to grow along the fence line and used an old field stone that used to be the foundation of the seed crib as a marker. 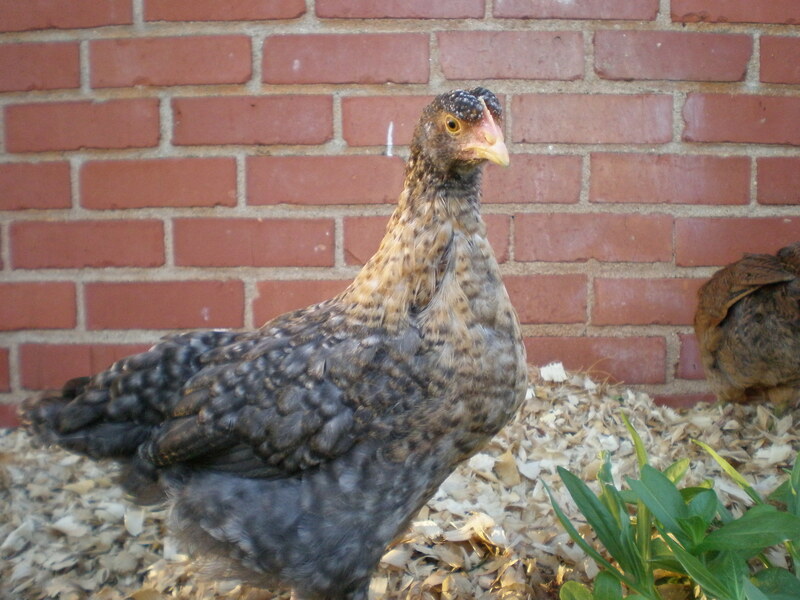 It is probably weird to be so sad over loosing a chicken, but Josephine was part of our original group. She had always been healthy and I guess I just wasn’t expecting to loose her so soon. 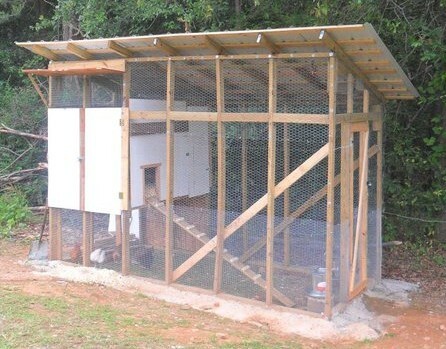 Chickens can live between 7 – 9 years; and, moving in to our fourth year with our original group, I guess I was feeling a bit optimistic. Realistically, four or five years is average for most. Now, when I go down to the coop and count it feels strange to only count 8 instead of 9 – I won’t go “two white ones, two black ones, two brown ones, two stripy ones, and Penfold” to know that I’ve got everybody accounted for. Whether we are ready or not, things happen, and we have to embrace the change along with the hurt – and make room for new things on the horizon. The thing to keep in mind is that we still have our Josephine memories – Stephen and I (perhaps even Pearla) will carry her forward with us and her journey didn’t just end last night. Josephine has now been part of our stories, and our stories are not over yet. 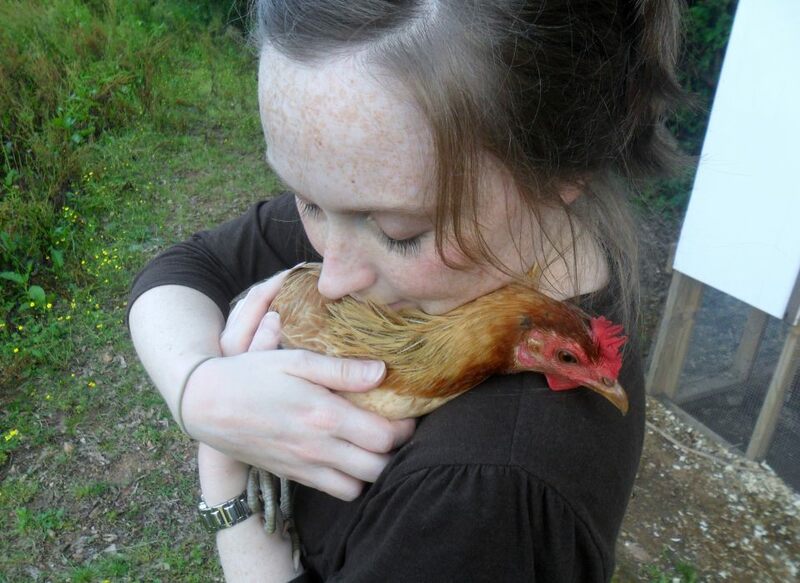 Happy National Hug a Chicken Day! 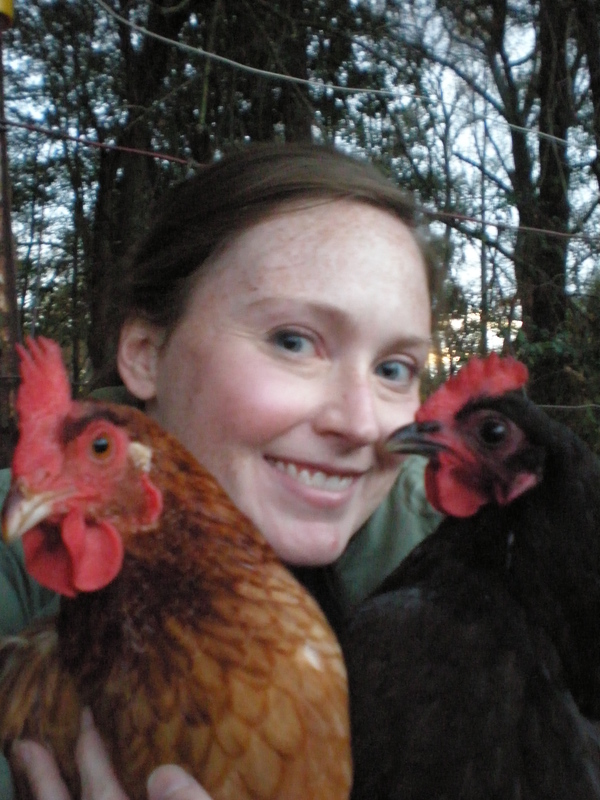 November 5th is a very special day in the chicken keeping community – it is National Hug a Chicken Day. For most chicken keepers, every day is hug a chicken day – but this is our day to share the joys of chicken huggin’ with everyone else. 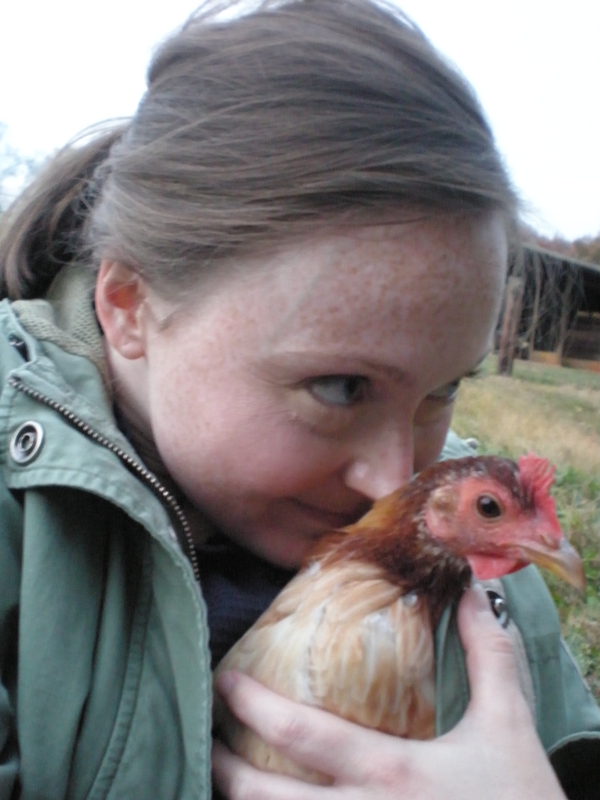 Though I love all of my chickens, Penfold and I have always had a special connection. 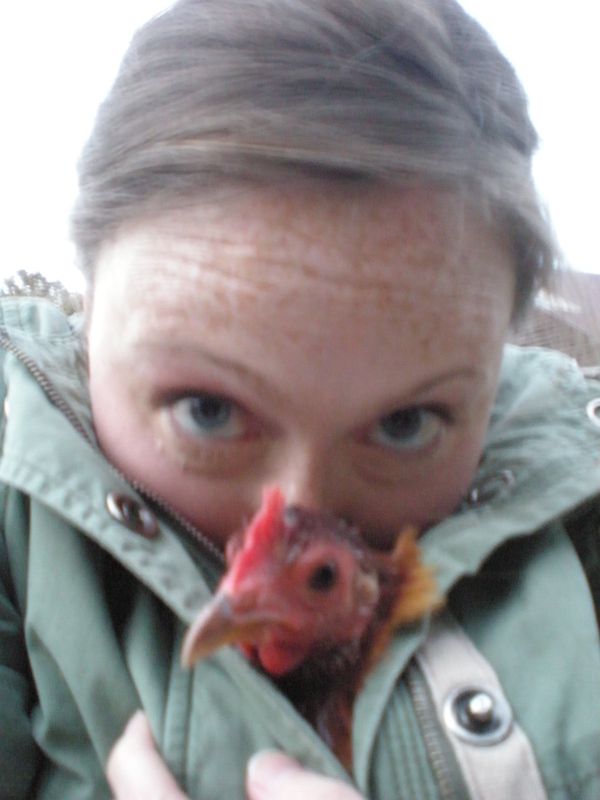 She seems to be my hugging chicken of choice on most days. Sometimes she snuggles down into my jacket and falls asleep. Some days she sits on my lap an trills at me as if she’s having her own little conversation. She gets angry if I pet or hold one of her fellow flock mates, her face turning red as a beat until I decide to pet her instead. Penfold loves for me to rub the back of her head just behind her comb – she just closes her little eyes and drifts away. Penfold has a unique personality, and is by far our smartest chicken. She prefer’s our company to that of the other chickens. She can be quite aggressive with the other hens and spends quite a bit of time own her own exploring. Penfold knows what it takes to make you feel better when you feel tired, crummy, or frumpy. All it takes is a little snuggle and a trill, then your day becomes brighter, calmer, and better. She also a great chicken to hug on a good day too! 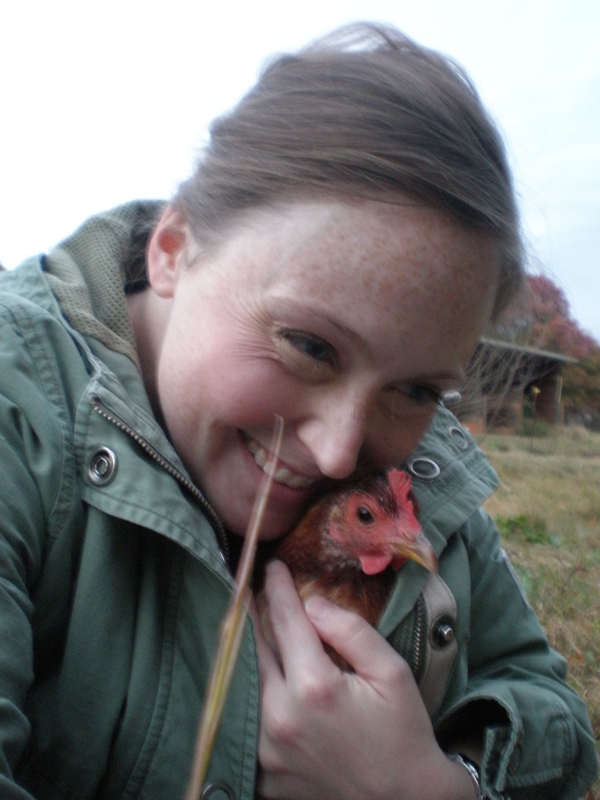 Hugging chickens is like hugging happiness itself. So if you want a little boost of fluffy happiness in your life – go grab a chicken and give it a little squeeze! 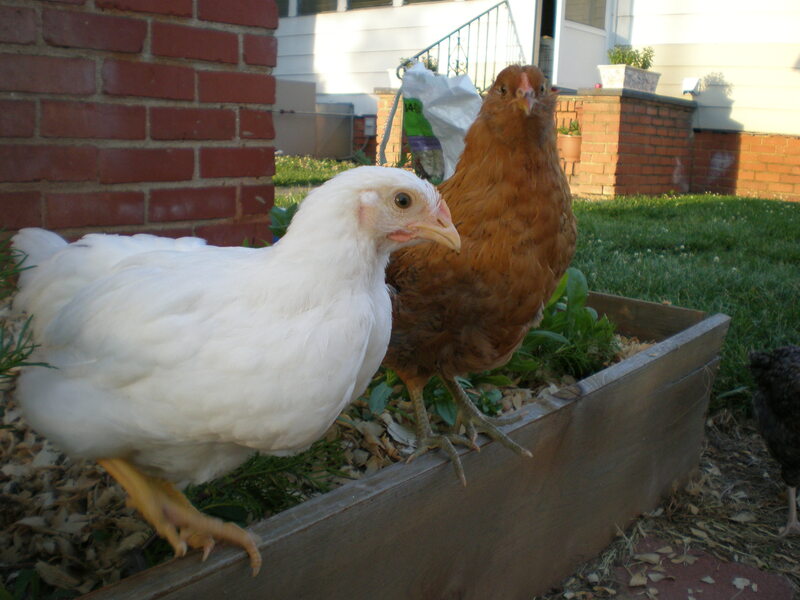 The pecking order is the governing system of hens. I suppose it has parallels in our society: the general sits atop a pecking order, then the colonel, the captain… the private at the bottom. 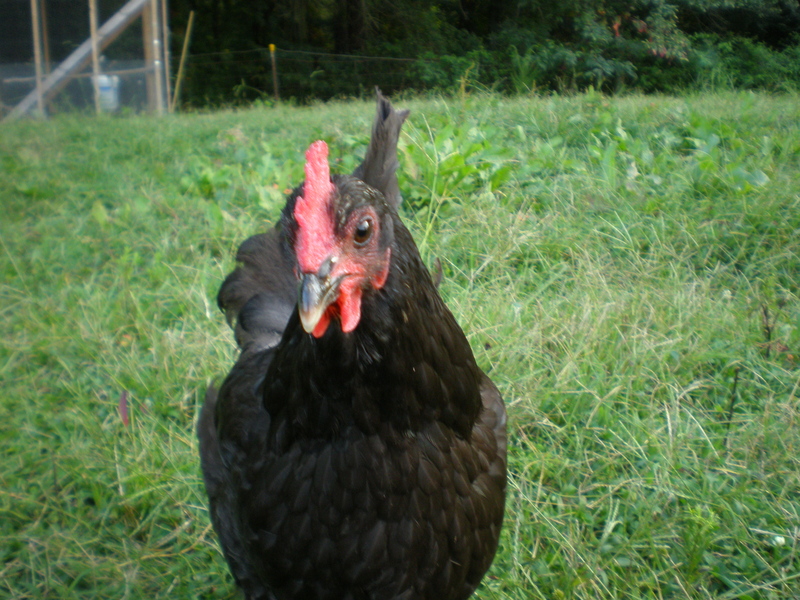 The five star general in our flock is Flannery, a black Australorp. 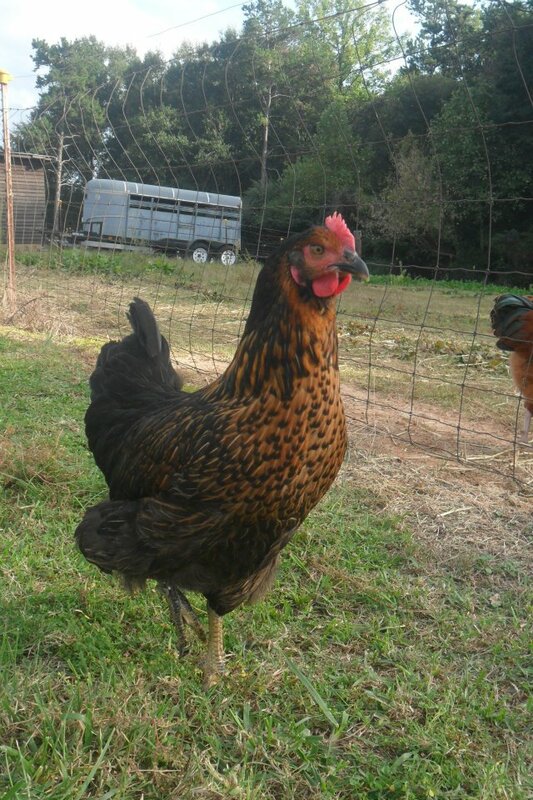 She is a gentle, quiet hen with a dainty trot. 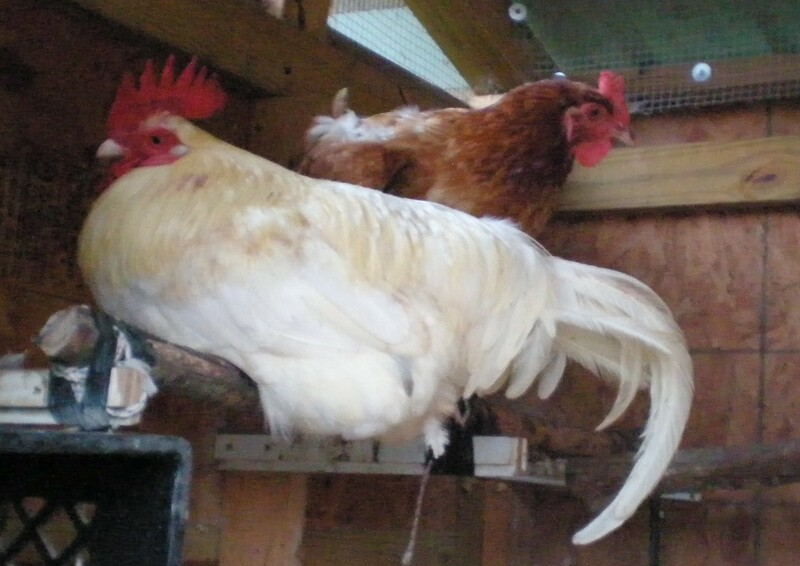 In size Flannery is average, and several larger hens are below her in the pecking order. She lets people pet her, but she doesn’t seek attention like Penfold and Quigley. All in all, Flannery is peaceful and unassuming. 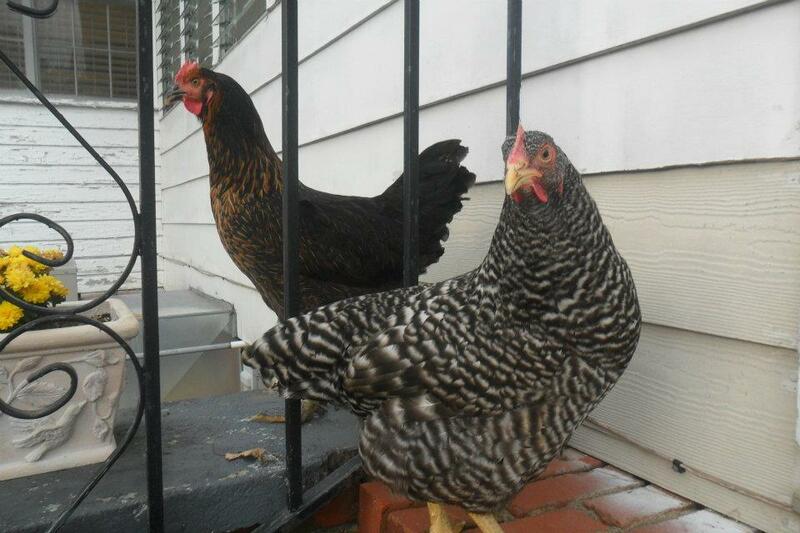 Because Flannery sits atop the pecking order, others hen leave her alone—at least most of the time. 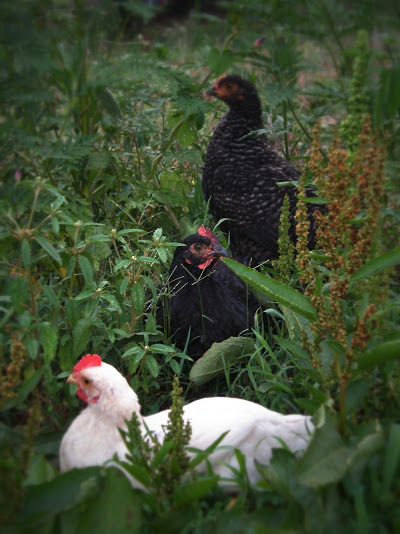 On one occasion Charlie, our grumpiest hen, mistakenly pecked Flannery on the roost as everyone settled in for night. Flannery unleashed a fury of drop kicks and pecks that sent poor Charlie reeling and squawking. But only a handful of times have I ever seen Flannery even lightly peck anyone. As far as I can tell, she doesn’t abuse her power. 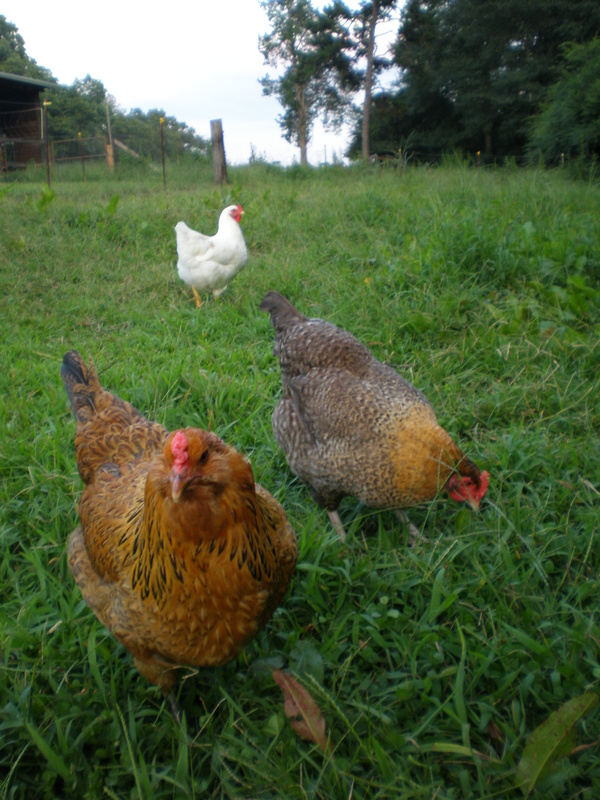 When we introduced the little chickens to the flock, she was the first to befriend them. And I don’t think Flannery leads the flock that I can tell. Usually Penfold, who is rather low on the pecking order, takes the flock one direction or the other, scouting new patches of grass and weeds with her rambunctious nature. Flannery seems fine to follow. So although Flannery is head hen, she isn’t a tyrant. She walks softly but carries a big stick. 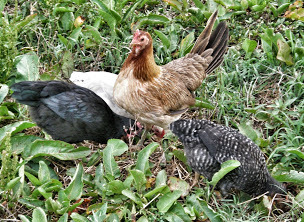 The chicken pasture has been a lively place this summer. Since the Littles have moved in to the big coop each day has been full of squabbles, hilarity, and new traditions for the Pleasant Hill flock. Penfold is still a little devil, I often call her my Captain of Badness. 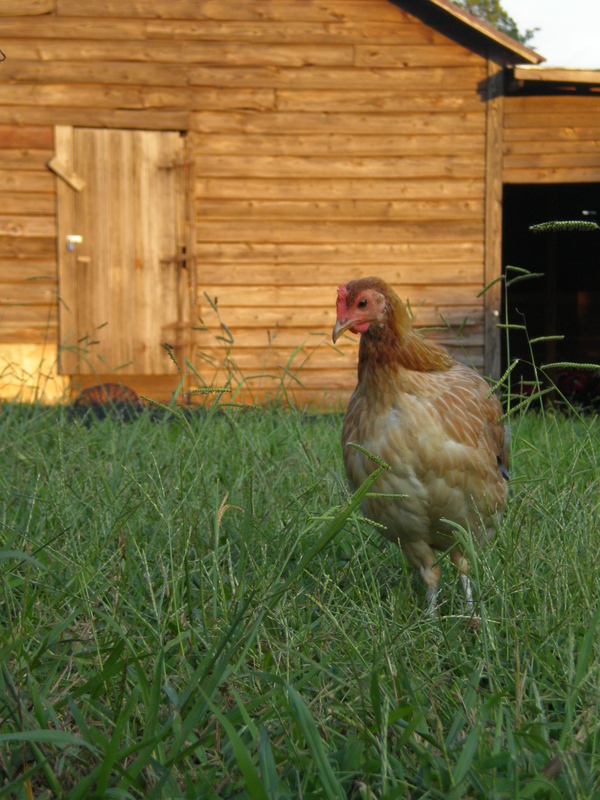 She is frequently found doing everything she shouldn’t – pulling feathers out of the Littles, getting out of the fence, and generally leading the other hen’s astray. I don’t care, I love her anyway – she could probably peck out one of my eyes and I’d still see no wrong in her. Quigley, Zillah, and Danger – or the Littles as we call them – are still as tight as ever. Danger is the head of their little tribe and Quigley just wants to be everyone’s friend, while Zillah likes to spend time with Andy. Two of our younger cousins like to come by to see the Littles on the weekends. Danger is Katie’s favorite, and I am absolutely perplexed at how a five year old can catch that chicken faster than I can! All of the big girls are moulting and they look like a ratty band of box car children. Charlie is 500 times more grouchy than usual – which is really saying something since she is the ‘ take no prisoners ‘ type. If you even look at her she growls in protest. A few nights back Andy was, apparently, sitting on the roosting spot that she wanted – so she just pecked him in the head and face until he finally gave up and moved away. Poor Andy. He tries so hard to be a good protector for his little harem of biddy’s. Lately he’s started this new tradition of carving out some ‘personal time’ for himself each day. 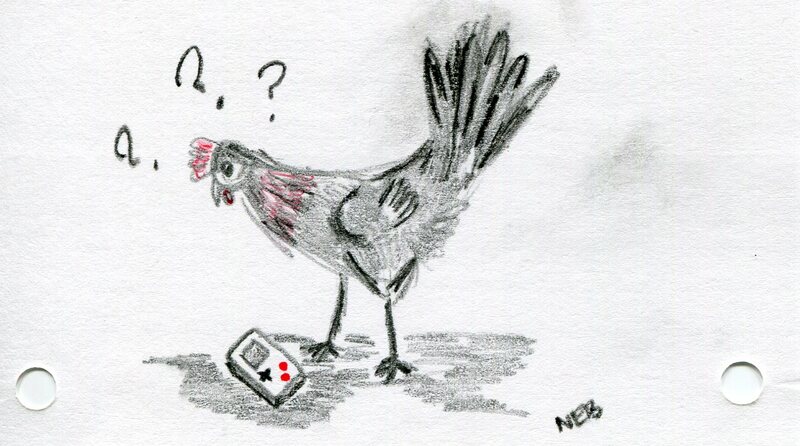 So, what exactly does ‘personal time’ look like for a rooster? 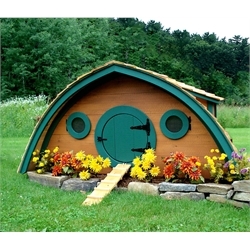 Well, in Andy’s case, he has his special corner of the hen house under the nesting boxes. He crawls in, makes a nest, faces the corner, and stays crammed in that tiny space for about 15 minutes…probably pretending that the rest of the world does not exist. As the day draws to a close, everyone heads back the the hen house – ready to squabble and growl over who is going to sleep next to whom on the roost. Andy stands like a bastion on the hill, making sure that everyone gets inside – it’s time to shut the place down for the night. As the sun sets, the hen house gets quiet. Occasionally you hear one of Penfold or Quigley’s long trills or Charlie growling over someone sleeping too close by….and Stephen and I trek back up to the house ready to call it a day ourselves. As spring moves on to summer our chores seem to be piling up, up, up. And over the course of the last few weeks we have experienced much change in the white house. For starters, the white house is now white again. 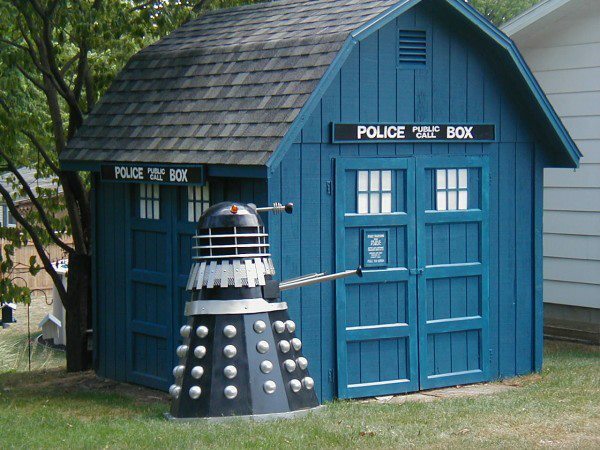 After two weeks of painting the old place looks somewhat new…sort of. The baby chickens have graduated up to the big coop. We have been on “nesting box duty.” We’ve adopted a new hive of bees, and said goodbye to a familiar face around the barnyard. Penfold, my little American Game, has decided to go broody, and she is going to sit on her nest come hell or high water. The box is empty. Penfold doesn’t care – she’s sitting there anyway. I stick my hand in with treats trying to tempt her out of the box. Penfold doesn’t care – she’s sitting there anyway. Andy comes in to oust her off the nest and join the others foraging (Penfold’s favorite activity). Still, Penfold doesn’t care – she is sitting there anyway. Penfold attempting to reclaim the eggs we took from her nest. So, several times a day Stephen or I tromp across the soggy pasture to take her out of the box and shoo her away to do something, anything else. It’s taken a few weeks, and there have been occasional set backs, but we think Pen is over this spell of motherhood, which is really better for all of us. 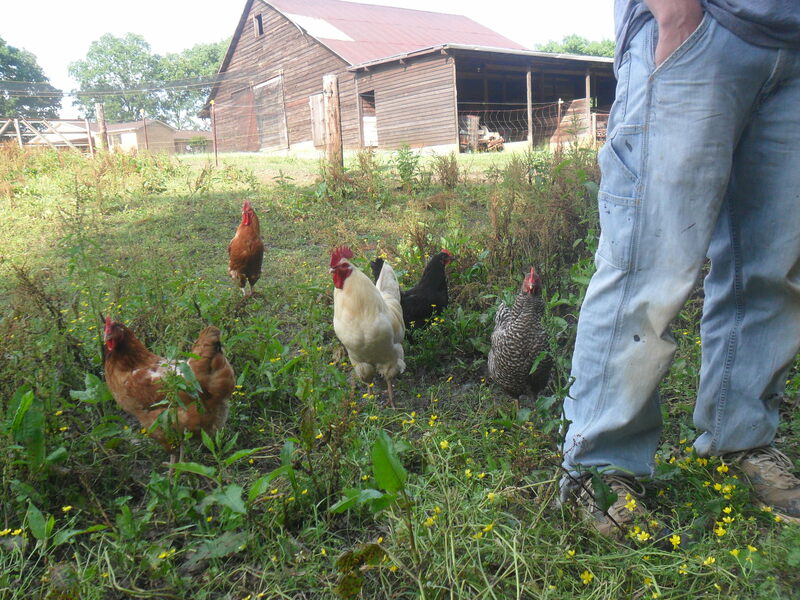 The little chickens are slowly integrating into the big flock, and things are going much better than the last time. 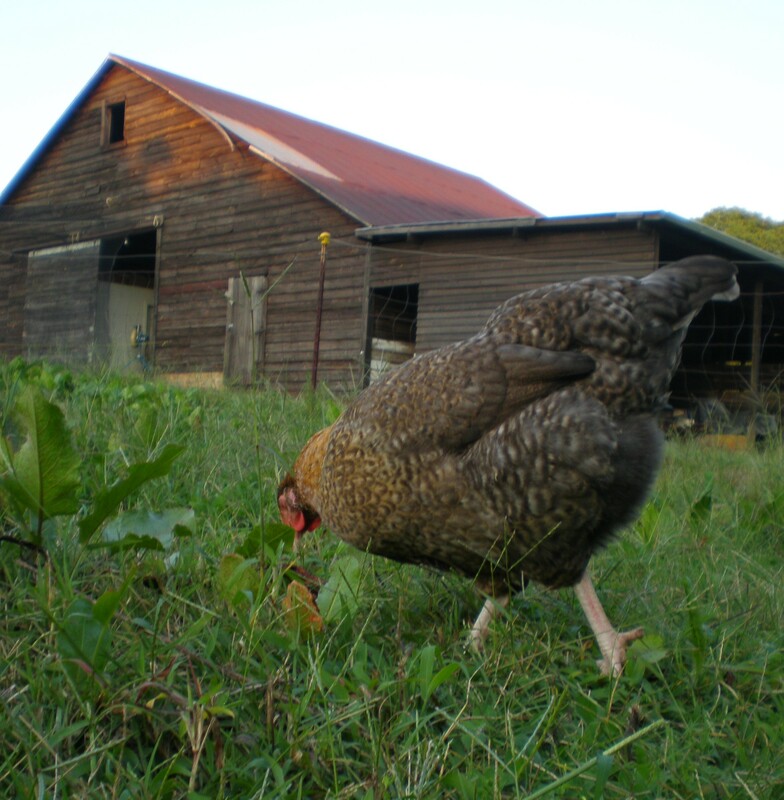 Zillah has proven herself to be an adventurous and brave soul – venturing forth to eat with the big chickens, taking a shot at finding her place on the hen house roost, and taking up for her much more timid sisters. Quigley and Danger are doing pretty good through this whole process, though they are much more cautious. Flannery, our head hen, has been quite kind to the little girls….offering them a safe place to perch next to her on her self made throne. Most of the others ignore the little girls, unless food is involved. The current flock shake down is that Charlie hates Zillah, and Penfold despises Quigley….and somehow Danger has managed to fly under the radar. One troublesome thing that has arisen over the last week has been Mini’s behavior. We’ve been surprised at the amount of aggression that he’s shown towards the little girls, and it has had both Stephen and I concerned. 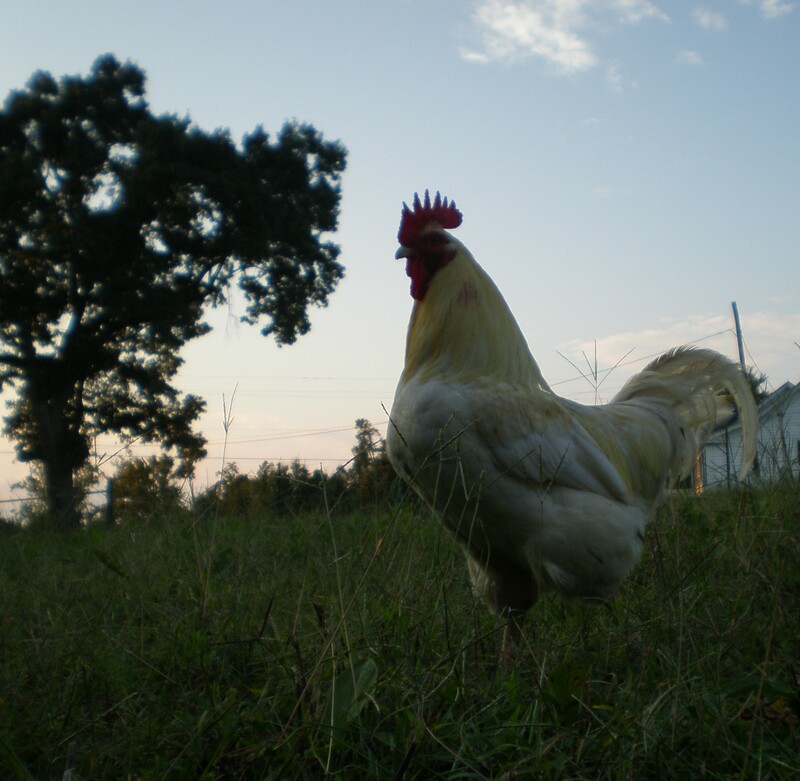 Over the last few months we have observed that Mini’s behavior has often left the hens stressed out and grumpy. We’ve questioned our decisions with our flock management, and have been seriously considering what the best options for the overall flock dynamic might be. 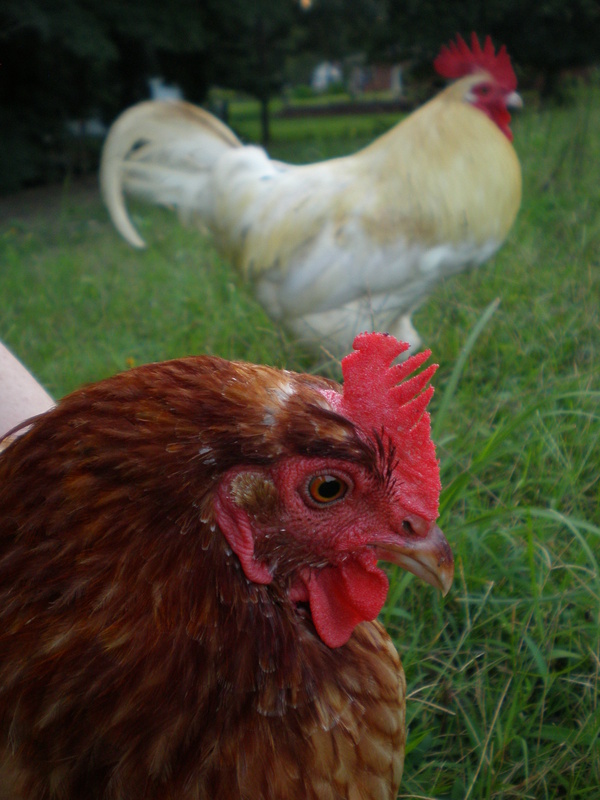 Last night as the chickens went to bed Mini kept repeatedly pecking Zillah in the head. Tonight, Stephen witnessed the same thing and in our minds a firm decision was made. With a heavy heart, we’ve said goodbye. Stephen wrote this to me tonight. 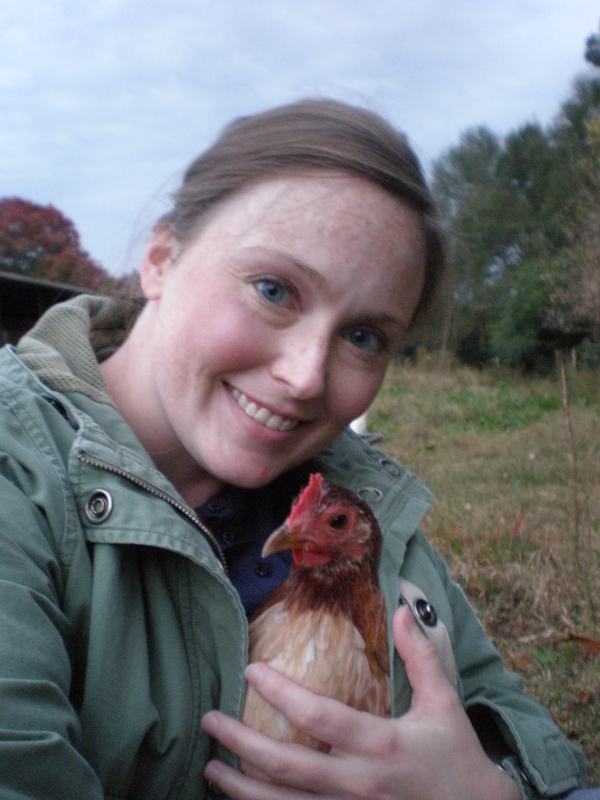 I want to share it, because it reflects the reality and pain that comes along with being a chicken keeper. It was horrible. Mini deserved a much better death than he got. It took me a long time, it was awful. If we ever have to kill another chicken, then we are taking it to the processing plant. I can’t stand to see them suffer like that and know it is my fault. I hope this fixes many of the problems with the flock, so that Mini didn’t die for nothing. It may be weird to apply Mill’s ethics of the greater good to flock life, but it is part of the cruelty we face as their keepers. We are part of that flock whether we think so or not, and we are responsible for their lives and well being. I still love Mini, and maybe his end deserved its own entry; but I felt that his story was so entwined with the changes and upheavals of the flock that it should be told together. He was Penfold’s closest friend, he was Zillah’s biggest fear, he was Andy’s nemesis. He was a good chicken, but a mean rooster.